Camouflage Foundation is a unique formula, a make-up and skin corrector in one, offering perfect camouflage of skin imperfections. The only facial make-up ideal for serious skin imperfections and discolorations angiomas burns scars. Natural filters only. Unique facial make-up suitable for minor skin imperfections and discolorations acne age spots vitiligo sun spots. 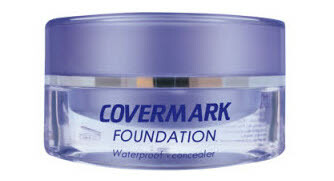 Perfect cover waterproof make-up for legs & body. Revolutionary body make-up suitable for concealing varicose veins phlebitis stretch marks. The new UV-comb for effective phototherapy by idealderm. The ideal UV-comb for the treatment of Vitiligo.